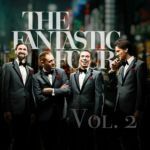 This month Swedish jazz band The Fantastic Four released a new (2nd version) of their album "Vol. 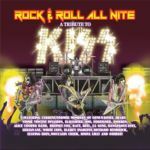 2", which latest version contains a cover of KISS' "Shout It Out Loud" featuring Bruce Kulick. CLICK HERE for album details. In other news, one of the members of The Fantastic Four, Robert Haglund is working on a solo album. 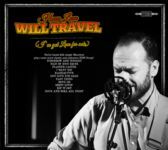 It's an album containing classical hard rock and heavy metal songs rearranged into jazz versions. 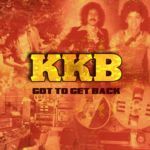 Bruce Kulick is playing guitar on at least three of the songs. 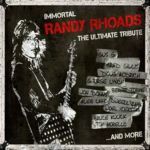 The songs (and maybe some more) are "Love Gun", "Enter Sandman" & "Don't Believe a Word". Hopefully the album is going to be released after the summer. According to USA TODAY, KISS has recorded a new song for the the animated film "Scooby-Doo! 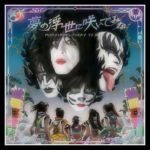 And Kiss: Rock And Roll Mystery", available July 10 on digital HD platforms and July 21 on Blu-ray/DVD from Warner Bros. Home Entertainment. April 5 : ultra rare WHITE TIGER rehearsal videos surfaced !! Today marks 8 years ago that Mark St. John passed away. In his memory WHITE TIGER / SILENT RAGE drummer Brian James Fox has uploaded a couple of WHITE TIGER rehearsal videos. "Stand and Deliver" is from WHITE TIGER's 1986 album, while "Live For Today" appeared on WHITE TIGER 2nd album demo's. R.I.P. Mark Leslie Norton (aka Mark St. John) - February 7th, 1956 - April 5th, 2007. 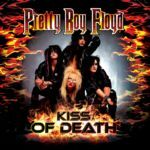 On March 31 Cleopatra / Deadline have reissued Pretty Boy Floyd's 2010 "Kiss Of Death - A Tribute To Kiss" album.